John has worked as a sportswriter since 1990, working at The Elmira Star-gazette, the Times of Trenton, the Camden Courier-Post, the Wilmington News Journal and the Washington Times. Mitchell covered the Washington Wizards from 1998-2008. 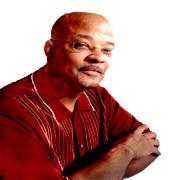 Currently he is a correspondent for the NBA.com and the Philadelphia Inquirer. A graduate of Howard University, Mitchell was born and raised in Philadelphia.